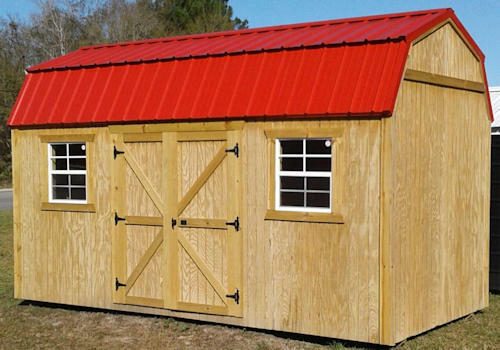 All of our Lofted storage buildings and sheds include 2 lofts. Each loft is 4 ft by the total width of the building. 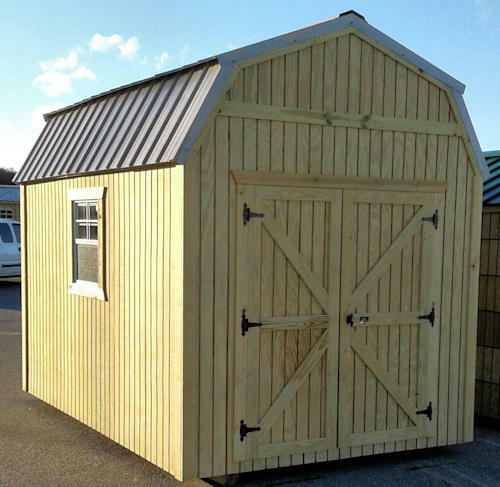 For example, our 8X12 lofted utility has a 4X8 loft at the front of the building plus a 4X8 loft at the back of the building, giving you an additional 64 sq ft of storage space. This is great for clearing your floor space for your lawn mower, wheelbarrow, etc.